“I read a book this year about what refugee kids go through when they first arrive and I wanted to do something to make you feel like you belong here and this will be a happy home for you.” -Preston, age 11. 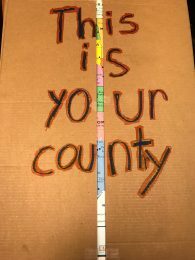 “I know you are new to this country and I bet you feel a little scared or lost but I promise that you will love this country as much as I do once you get to know it. This city has people from all over the world and everyone is welcome here. 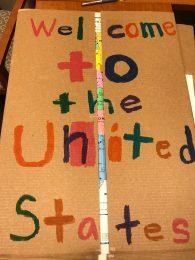 I hope you feel welcome.”-Tripp, age 11. 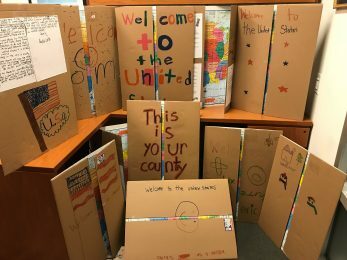 A class of local fifth grade students from PS6 donated posters to Safe Passage Project to welcome immigrant children to the United States. 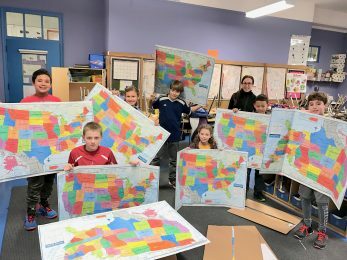 These students understand the need for messages of compassion, solidarity and support for migrant youths during the complicated and difficult process of immigration within the United States. Safe Passage Project is currently aiding around 700 immigrant youth who would be facing deportation alone if our volunteers and staff did not step forward to assist them in seeking asylum or other protected status. Thank you for continued support and consider donating or volunteering for Safe Passage Project today.